"One big Donald Trump AIDS"
As I've observed several times over the years, automatic speech recognition is getting better and better, to the point where some experts can plausibly advance claims of "achieving human parity". It's not hard to create material where humans still win, but in a lot of ordinary-life recordings, the machines do an excellent job. Just like human listeners, computer ASR algorithms combine "bottom-up" information about the audio with "top-down" information about the context — both the local word-sequence context and various layers of broader context. In general, the machines are more dependent than humans are on the top-down information, in the sense that their performance on (even carefully-pronounced) jabberwocky or word salad is generally rather poor. But recently I've been noting some cases where an ASR system unexpectedly fails to take account of what seem like some obvious local word-sequence likelihoods. To check my impression that such events are fairly common, I picked a random youtube video from YouTube's welcome page — Bill Maher's 6/23/2017 monologue — and fetched the "auto-generated" closed captions. To an English-speaking ear, rejuvenation has positive connotations and all nations have the right to rejuvenate themselves through peaceful efforts. But the official translation of this crucial slogan is deeply misleading. In Chinese it is “Zhonghua minzu weida fuxing” and the important part of the phrase is “Zhonghua minzu” — the “Chinese nation” according to party propaganda. A more accurate, although not perfect, translation would be the “Chinese race”. 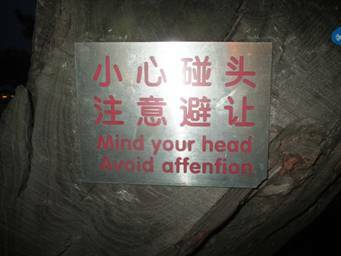 That is certainly how it is interpreted in China. The concept technically includes all 56 official ethnicities, including Tibetans, Muslim Uighurs and ethnic Koreans, but is almost universally understood to mean the majority Han ethnic group, who make up more than 90 per cent of the population. The most interesting thing about Zhonghua minzu is that it very deliberately and specifically incorporates anyone with Chinese blood anywhere in the world, no matter how long ago their ancestors left the Chinese mainland. Is it correct to use the word assuage to indicate a lessening of something? That is, it is often used in the realm of feelings, i.e. assuage hunger, assuage grief, etc. But would it be acceptable to use to indicate the lessening of something more tangible, such as assuage criminality, assuage the flow of water, assuage drug use.